In 1985 the mobile phone arrived in Ireland, and research shows that we are now the biggest phone Internet users in Europe, North America or South America. Join Engineers Ireland for their next presentation: “The Call What He Made: A History of Mobile Phones”, to hear Professor Nigel Linge discuss the evolution of the mobile phone and its uses. Nigel Linge is a Professor of Telecommunications at the University of Salford. He is an electronic engineer by profession and has been working in the computer networking and telecommunication fields since 1983 when he commenced his PhD researching techniques for the interconnection of local area networks. Nigel’s research interests include the operation and practical application of computer networks, communication protocols and telecommunications systems in general. 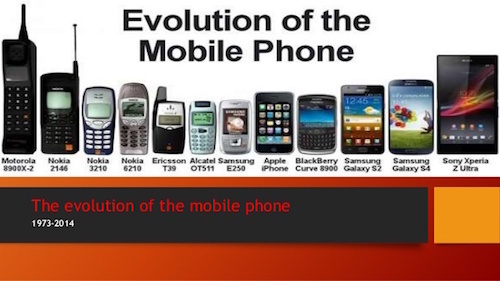 During this presentation, Nigel Linge will discuss how the mobile phone has evolved from its basic beginnings to today’s 4G smart phones. The key technical advances that contributed to the mobile phone network transforming from a voice telephony network to primarily a data network will also be identified during this lecture. The event will take place on Thursday the 14th of April, 7.00pm at the Rochestown Park Hotel, Cork. Admission is free and all are welcome.